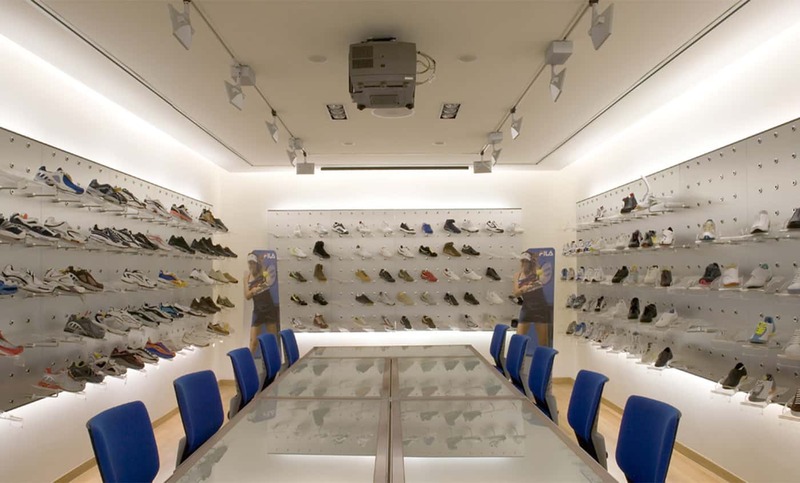 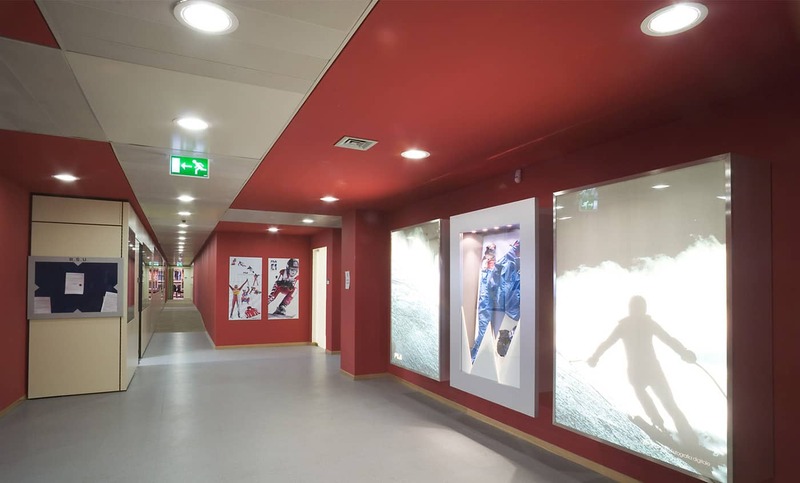 Progetto CMR was appointed to design the new European headquarters of Fila Sport, the historical sport clothes and shoes manufacturer. 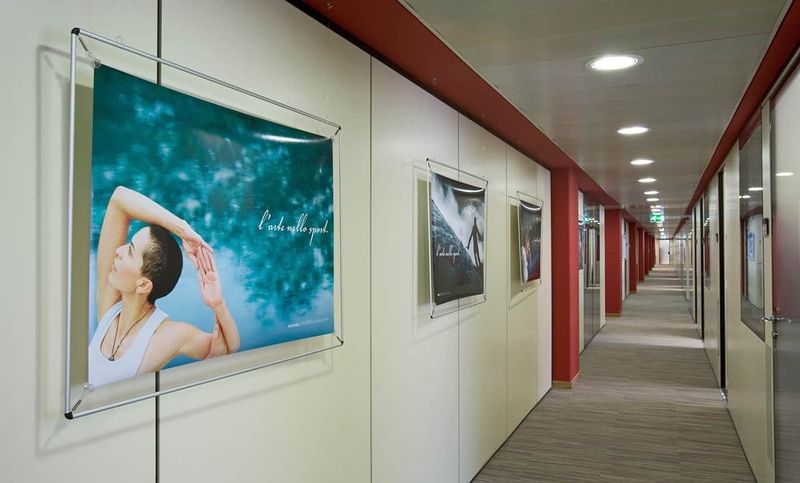 The project was inspired by the concept of “art in sport”: spaces are the expression of young, fresh, flexible new working reality with welcoming and pleasant-looking areas integrated with an advanced technology. 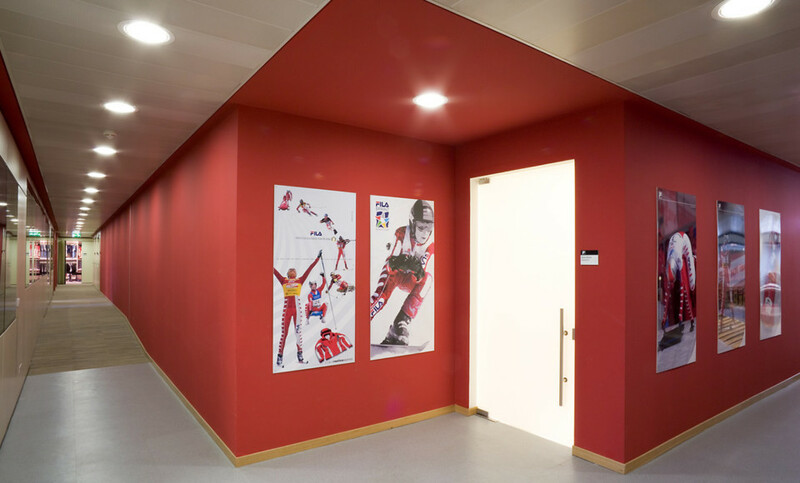 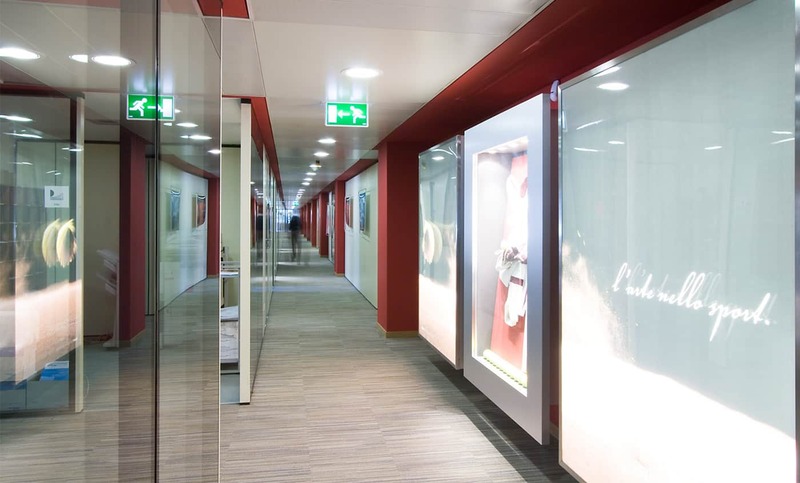 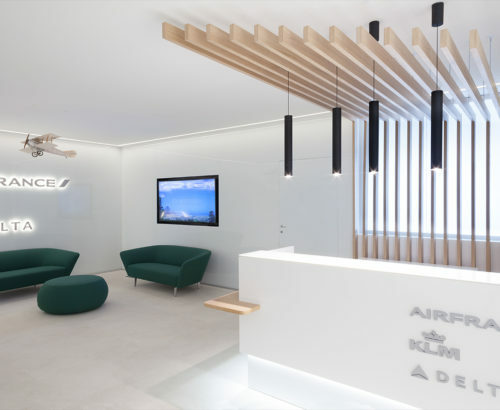 The reception on the ground floor leads to Fila and Ciesse Piumini areas, both with their own identity and corporate colours: white and red for Fila, blue and yellow for Ciesse. 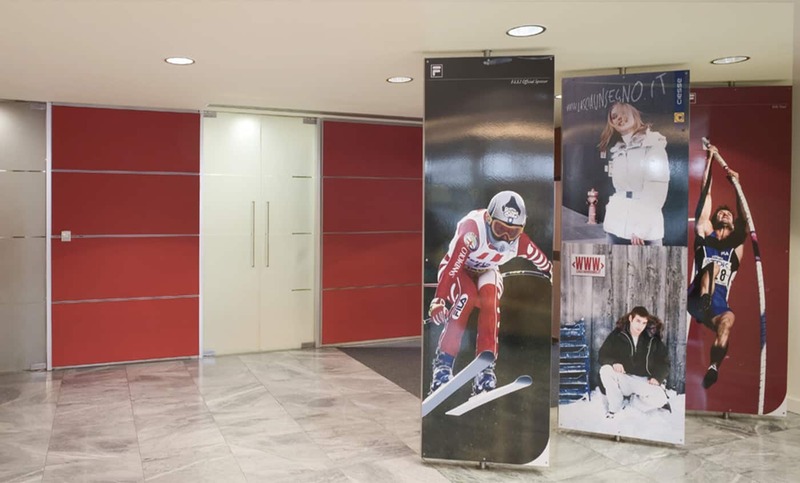 Bright advertisement panels stand out on the red walls in the Fila area showing sporting images and company products. 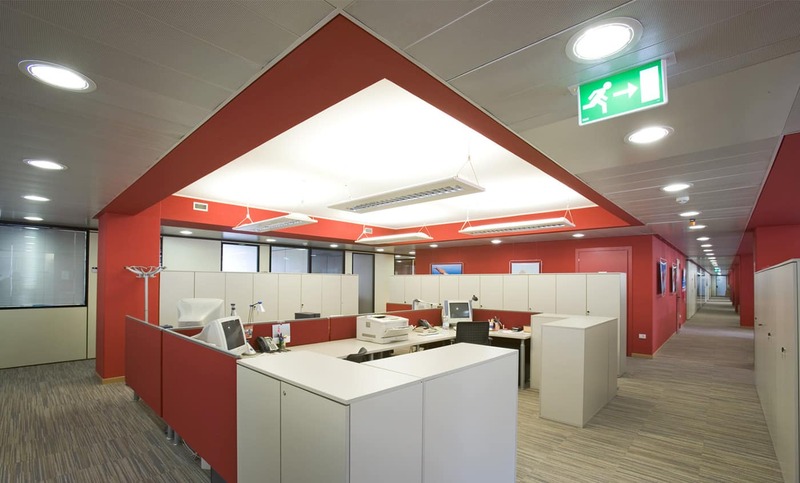 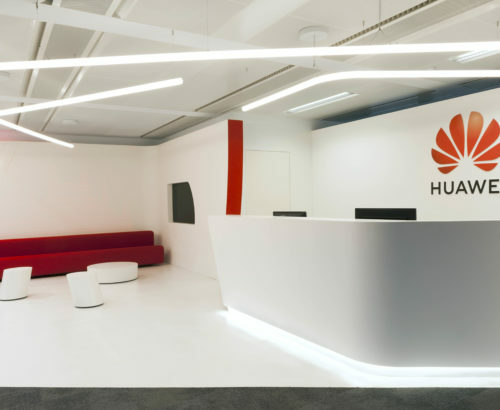 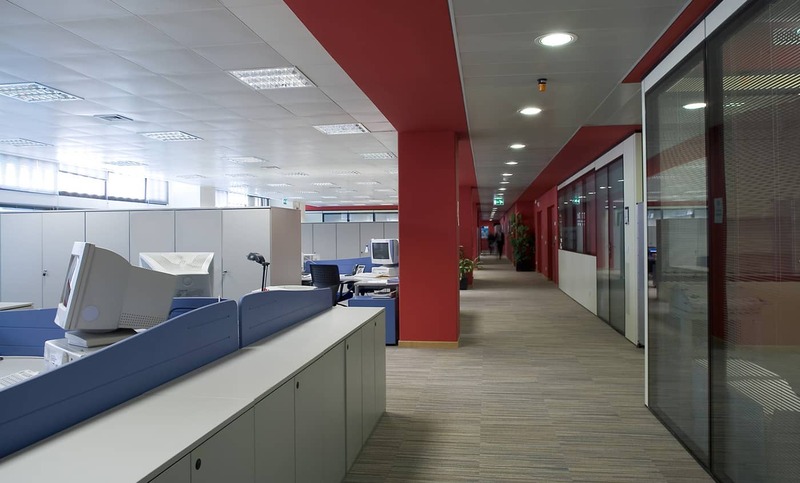 The choice of angular workstations allows desks to be closely grouped aimed to improve communication among people performing the same company function. 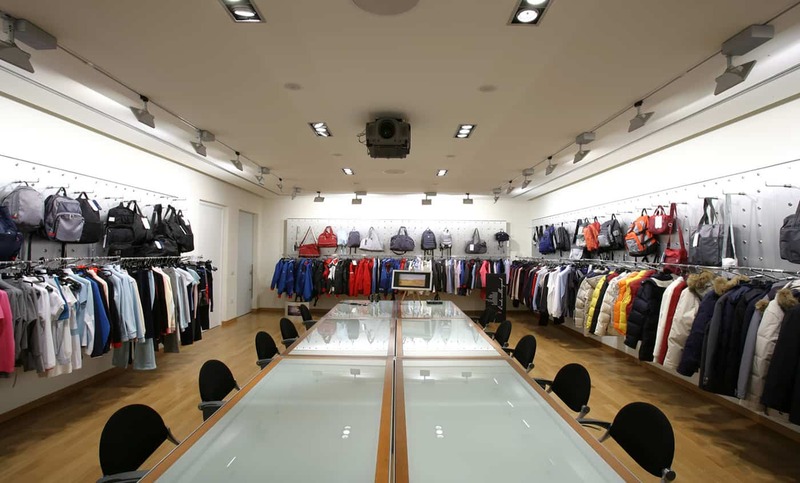 Every detail suitably conveys the dynamic and innovative image of Fila Sport.